to celebrate remi turning one, we decided to have a cookies + milk party. lucky for me, my friend has done this before so she had all of the cookie jars and milk bottles i could ever need. i made several different kinds of homemade cookies, as well as bought a variety pack from costco which completed the smorgasbord of cookies. basically there were all the cookies you could ever want. little miss remi is a funny one. she is so friendly and smiley from afar, but big groups of people make her nervous and she gets all weird and huffy. the majority of her party she had to be held by matt or I. but hey, nothing truer than "it's my party and i'll cry if i want to." if there is one thing this girl loves, it's food, especially sweets. so when we brought out the cupcake she got pretty excited. then we all started singing and she didn't know whether to pout or smile, so she did a little of both. what really got her smiling was when brooks came to her rescue and blew out her birthday candle. 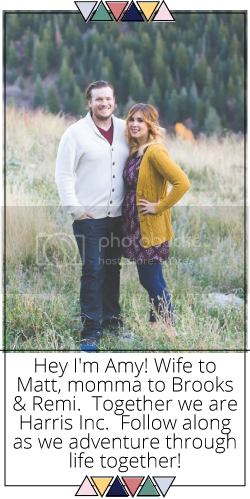 she loves him so much and i just love this picture. she didn't go as ham as i thought she would with her cupcake, she was actually quite delicate and dainty, but still thoroughly enjoyed it. after cookies and cake we opened presents, and i say we because it truly was a joint effort. we had all sorts of help from all of the kids in attendance. remi was so spoiled and got enough baby dolls and accessories to last a lifetime. brook was pretty thrilled with all of her presents as well. we are so lucky to have so many friends and family around us that love and support our children. 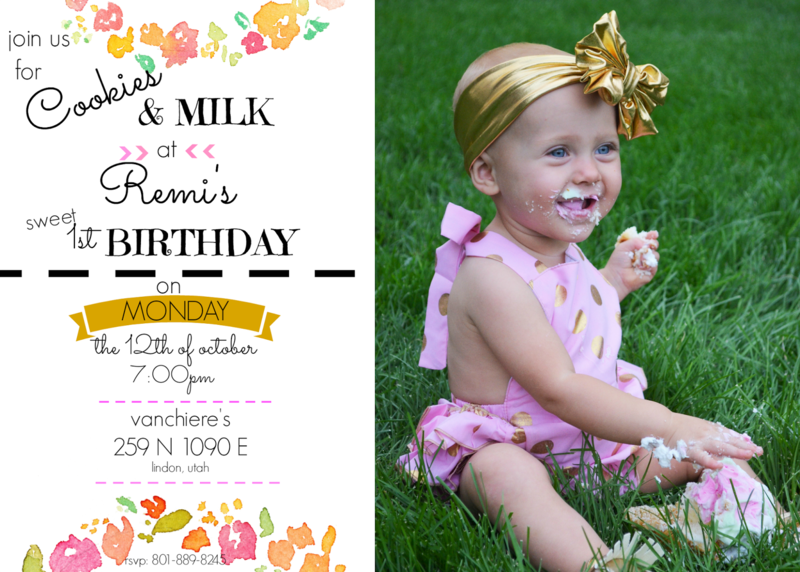 it was a short, sweet, and simple party and it fit remi perfectly. happy birthday remi jayne, we love you!